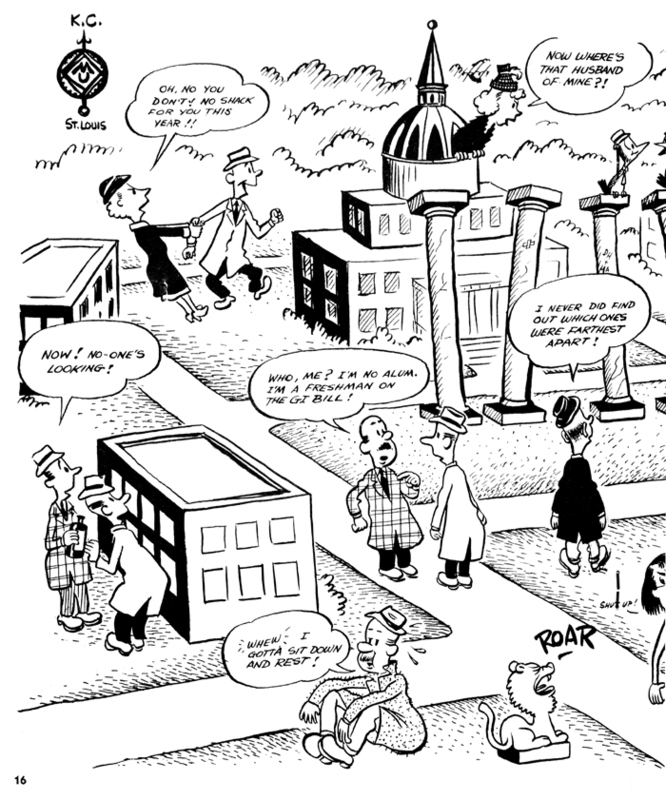 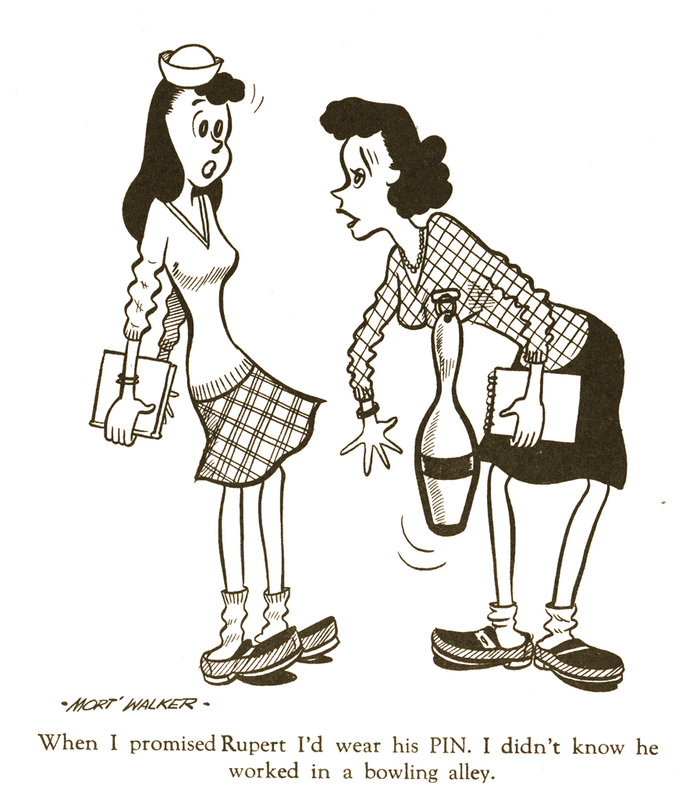 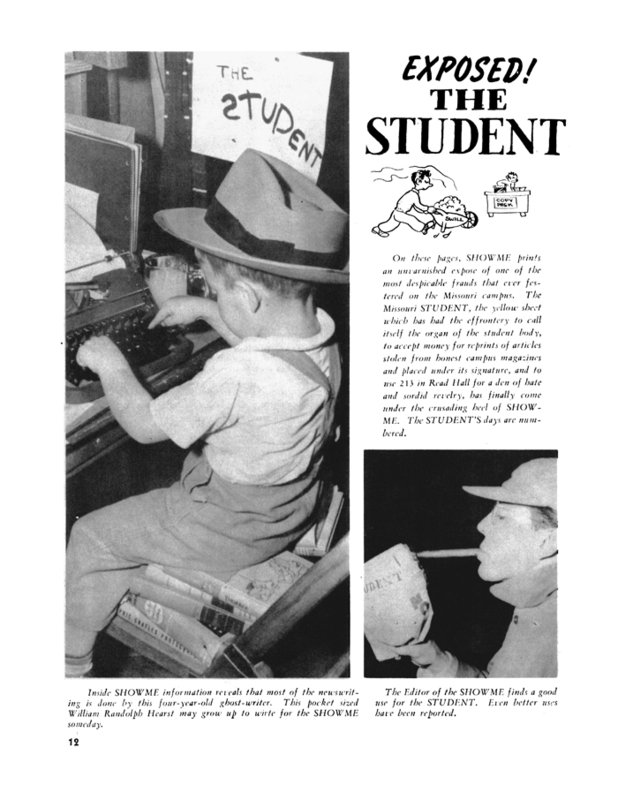 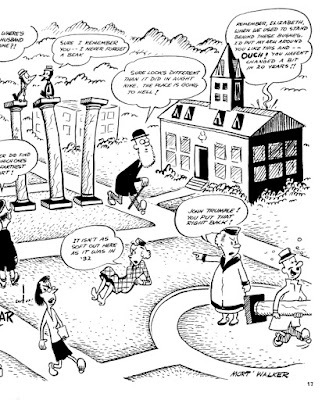 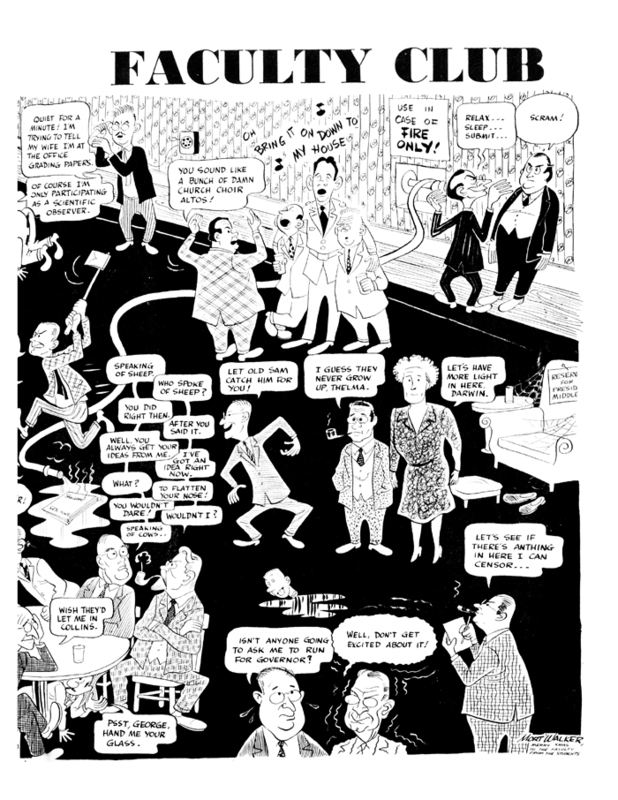 After WWII Mort Walker went to Missouri University to study journalism. 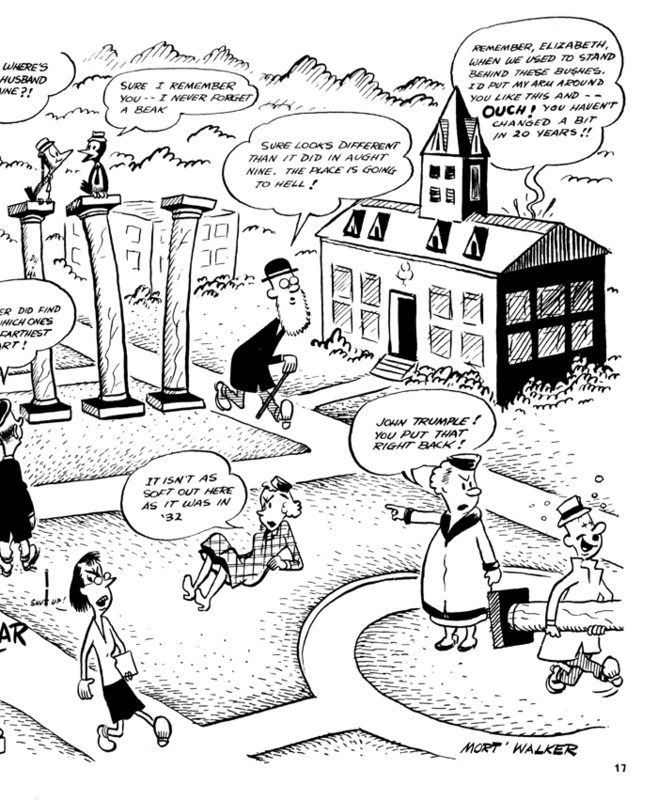 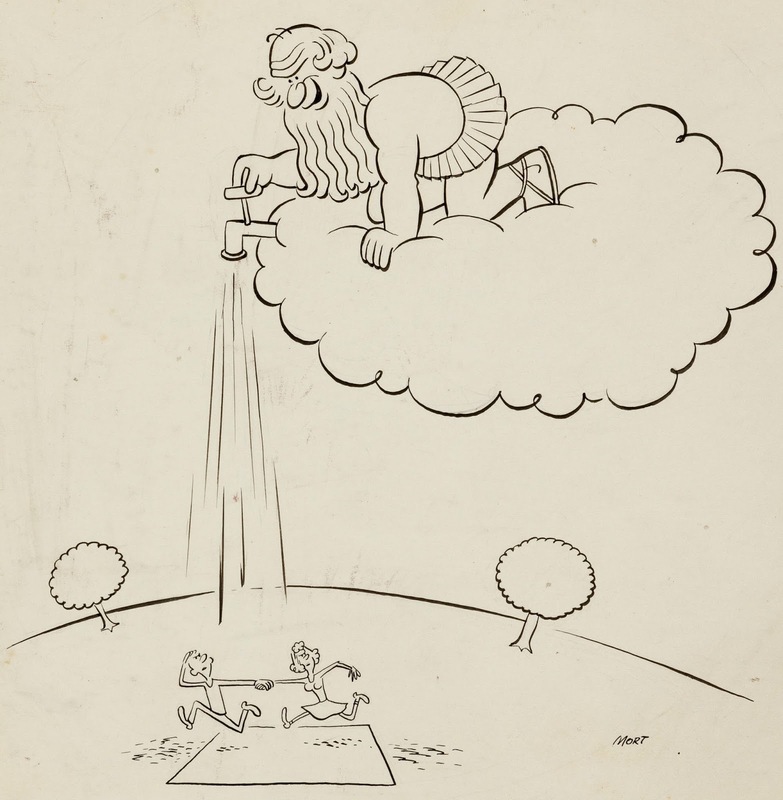 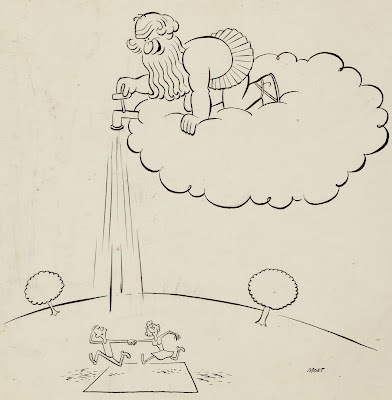 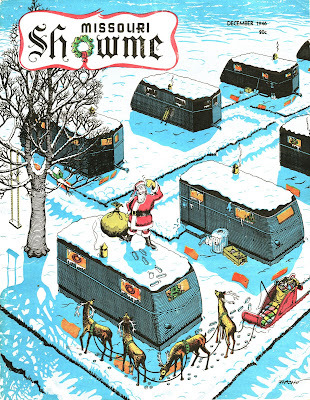 He wanted to be a cartoonist, but figured learning hiow to write wan't a waste of his time. 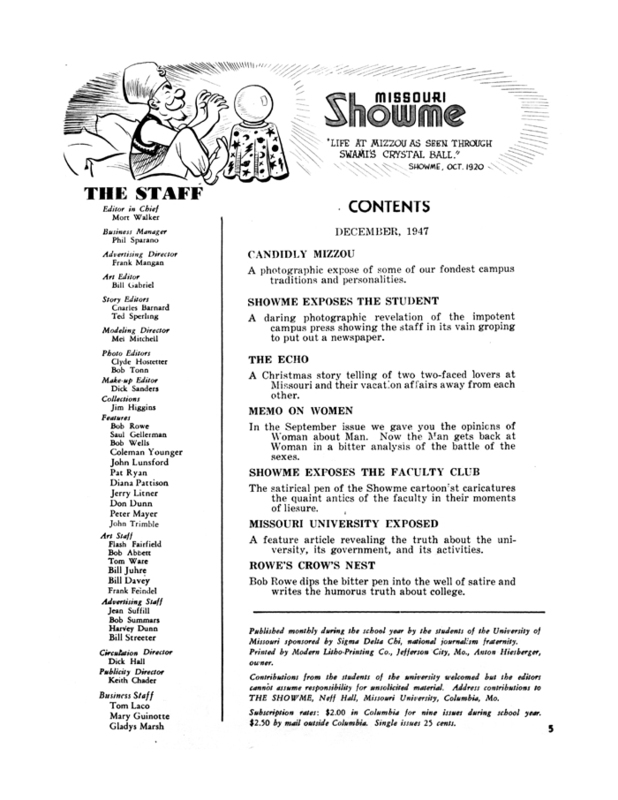 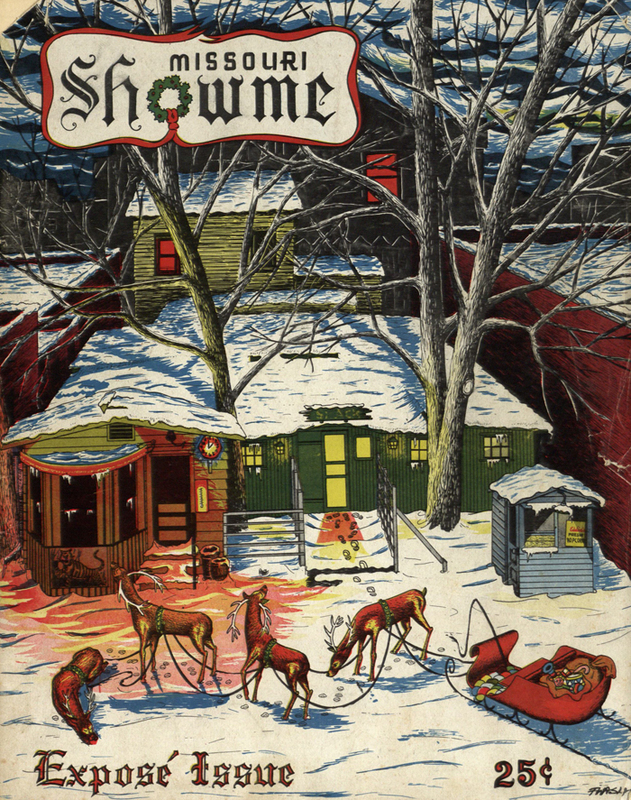 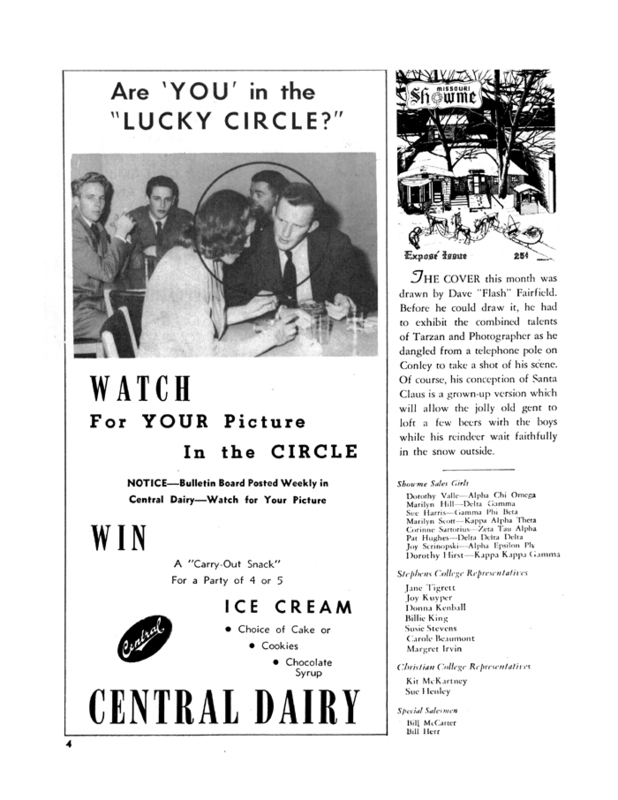 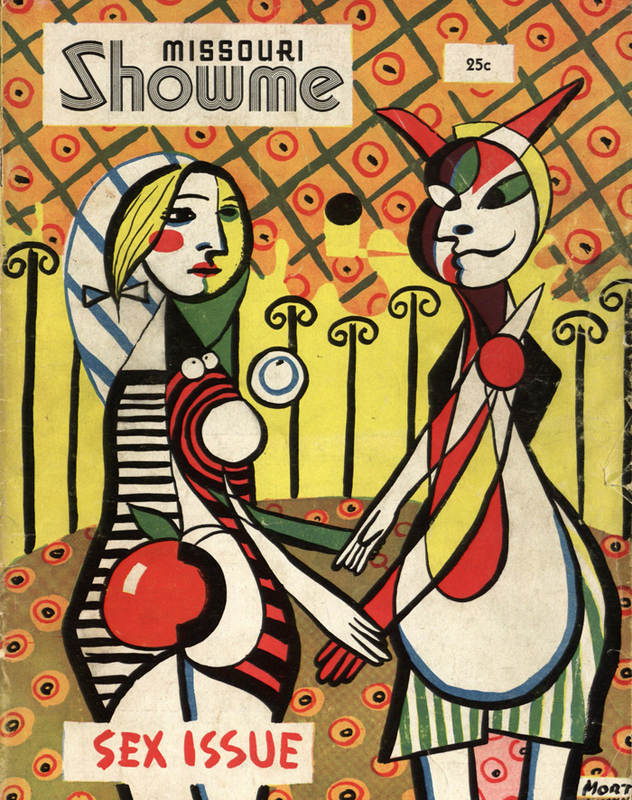 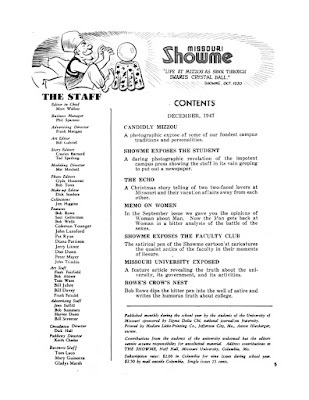 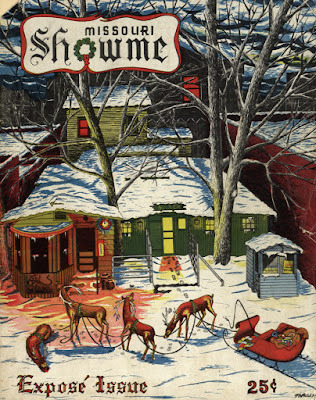 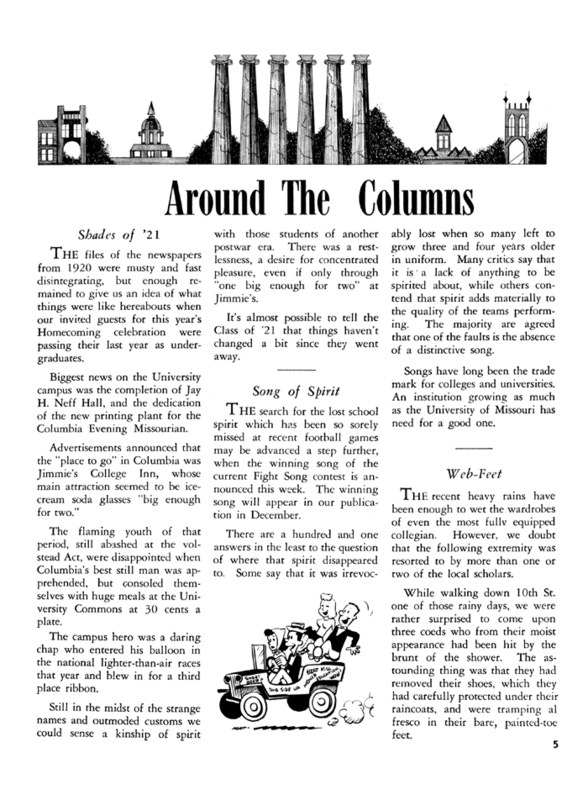 While there, he quickly became the edito or the campus magazine, The Missouri Showme. 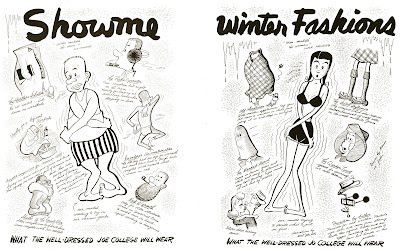 Since I am interested in Mort Walker's career as a cartoonist, I tried to get my hands on copies of these magazines, but that proved hard. When I finally was able to buy a bunch, I was told that recently someone has put all of them up on a website. I can't even remember where, but I got all of the relevant magazines and took out all the pages, covers and articles related to Mort Walker. 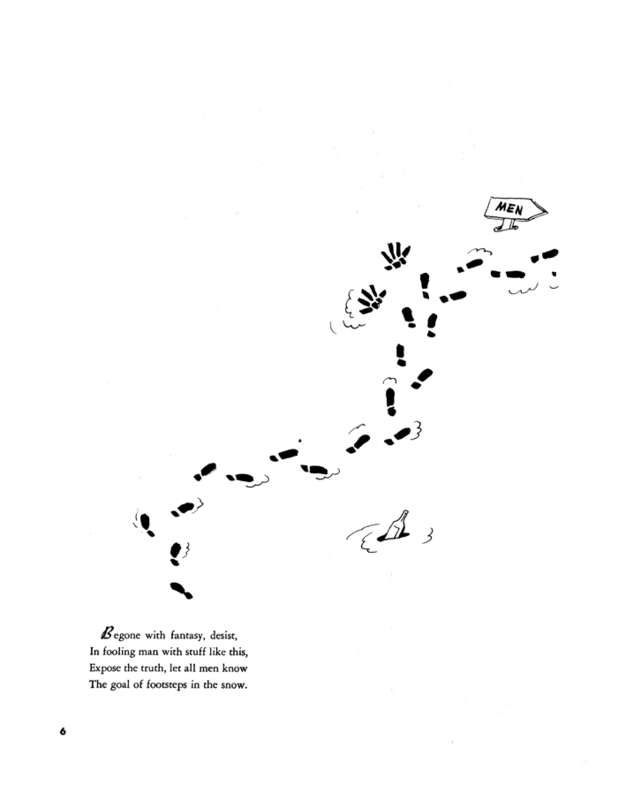 Which includes a couple of poems by Jean, his later wife. And to make things easy for you, I have gathered them all together here. 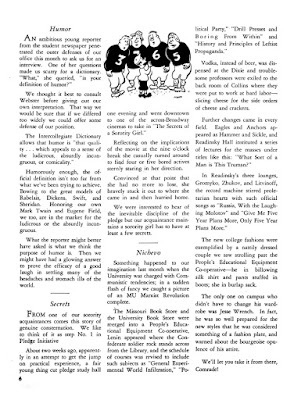 Some my own scans and some clipped from that online source. 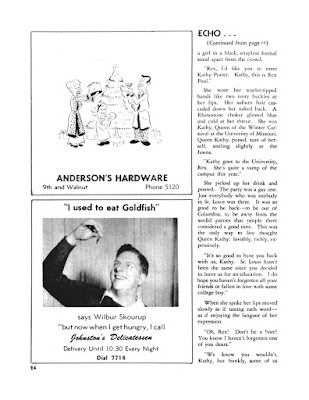 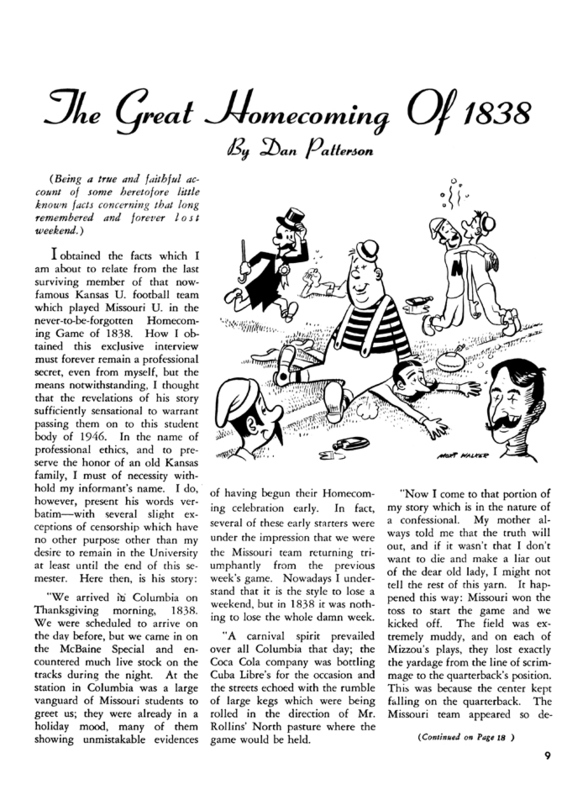 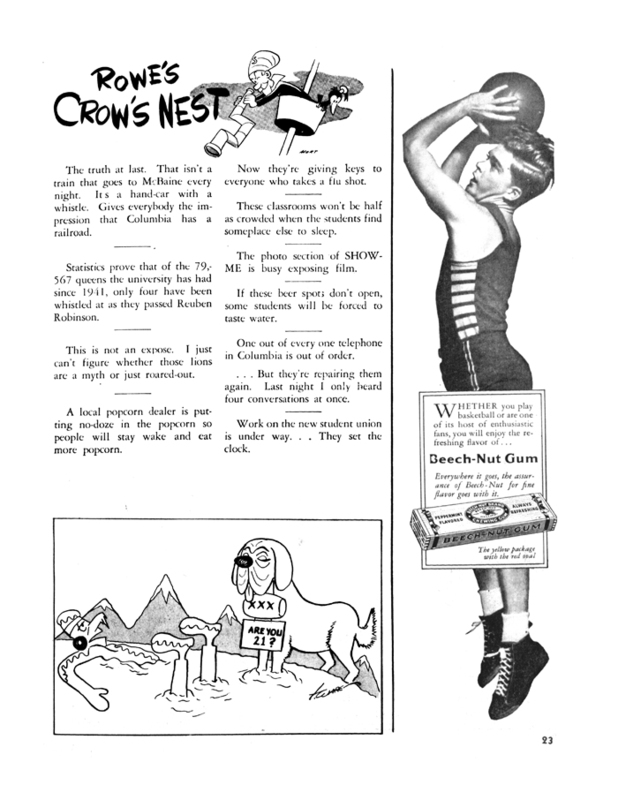 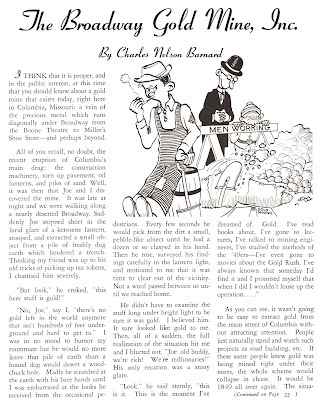 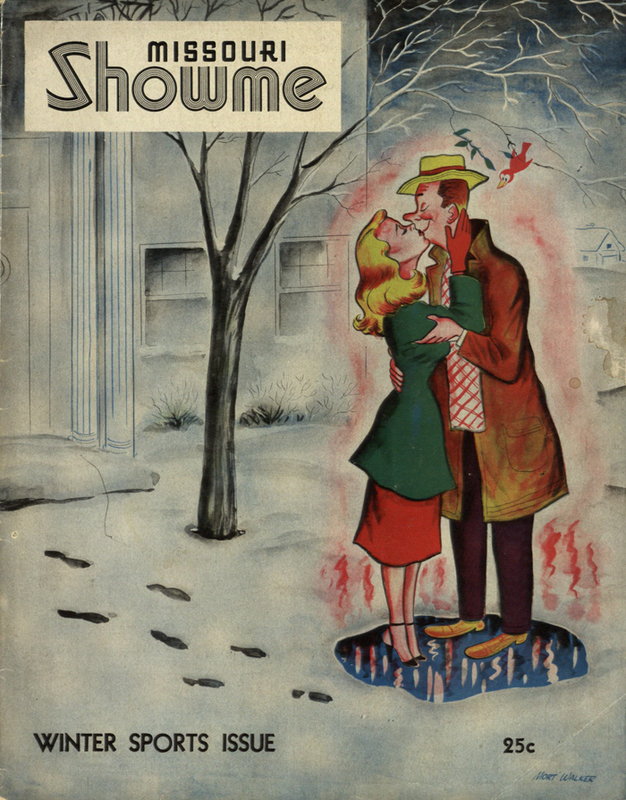 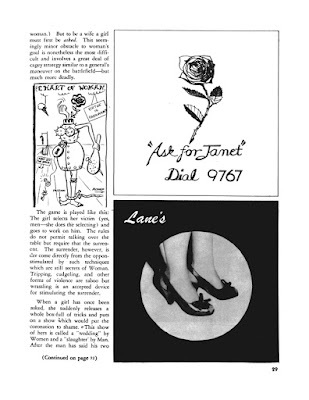 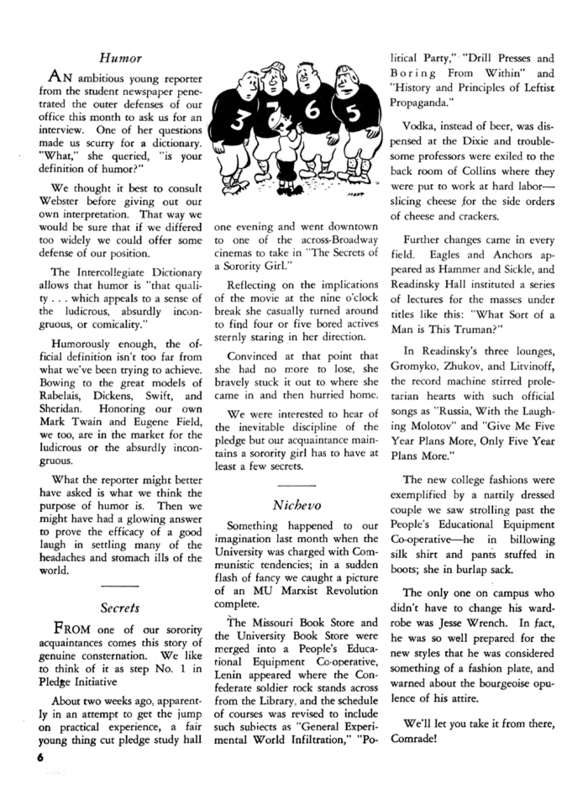 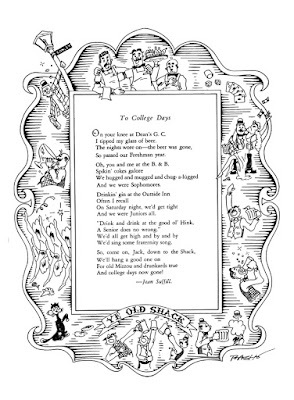 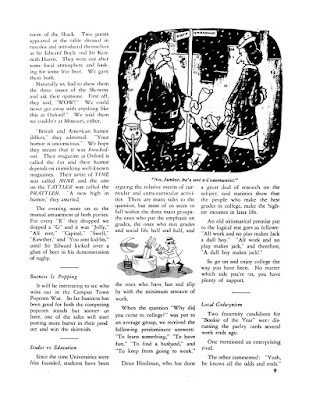 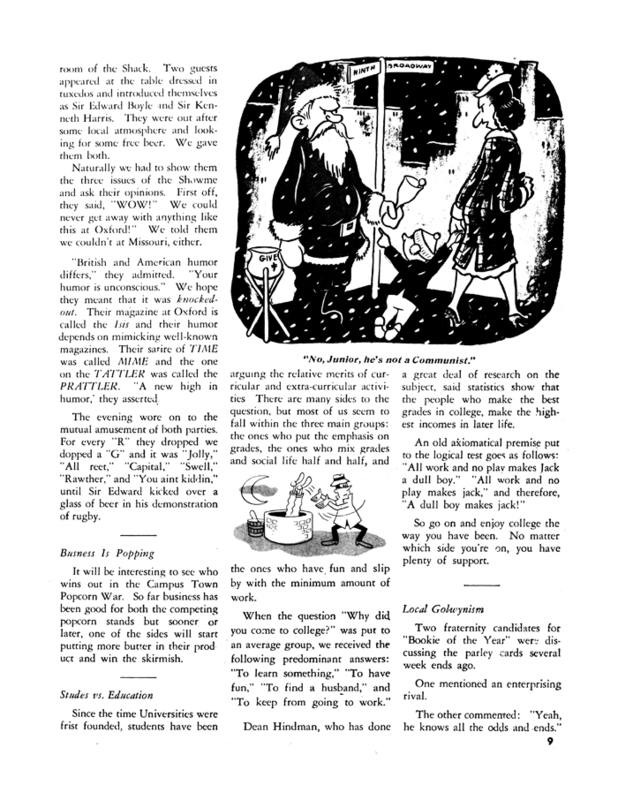 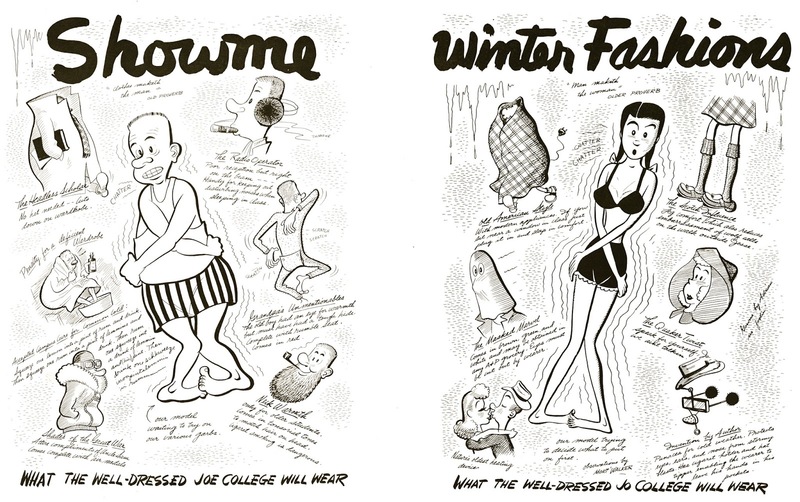 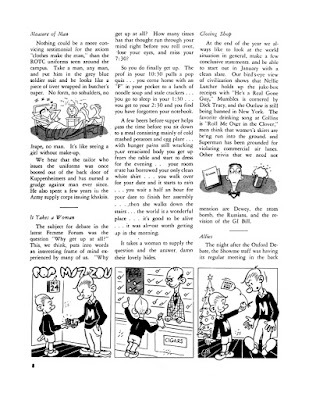 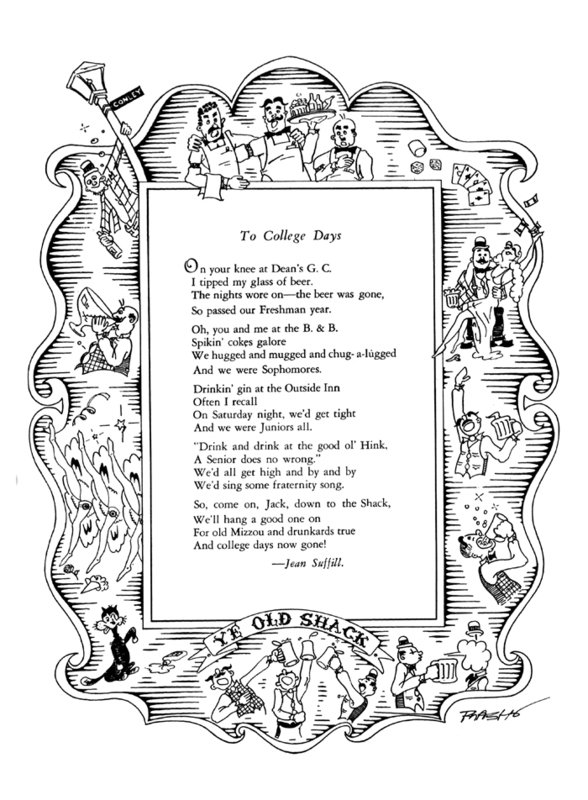 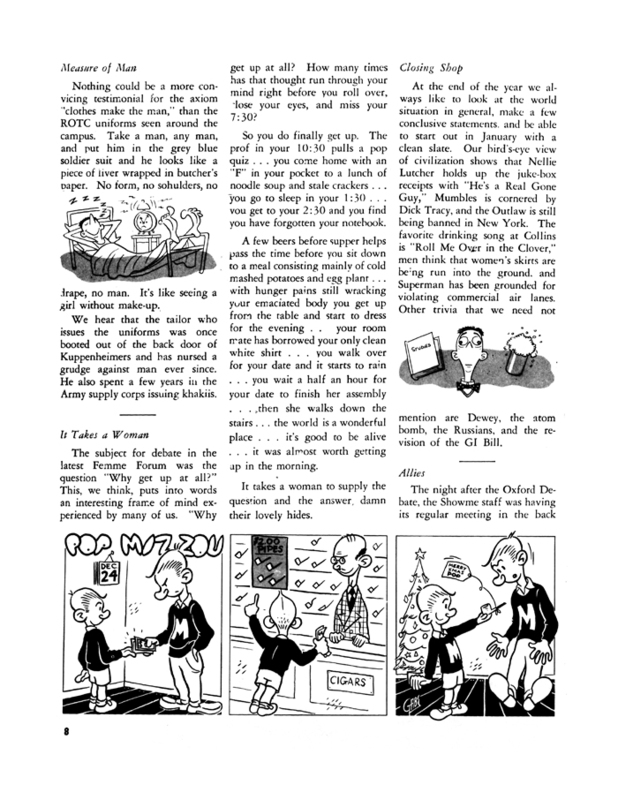 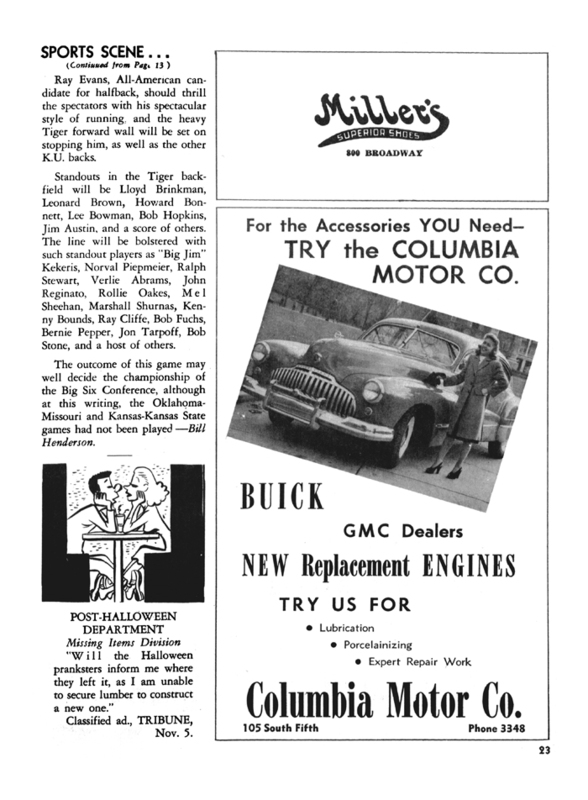 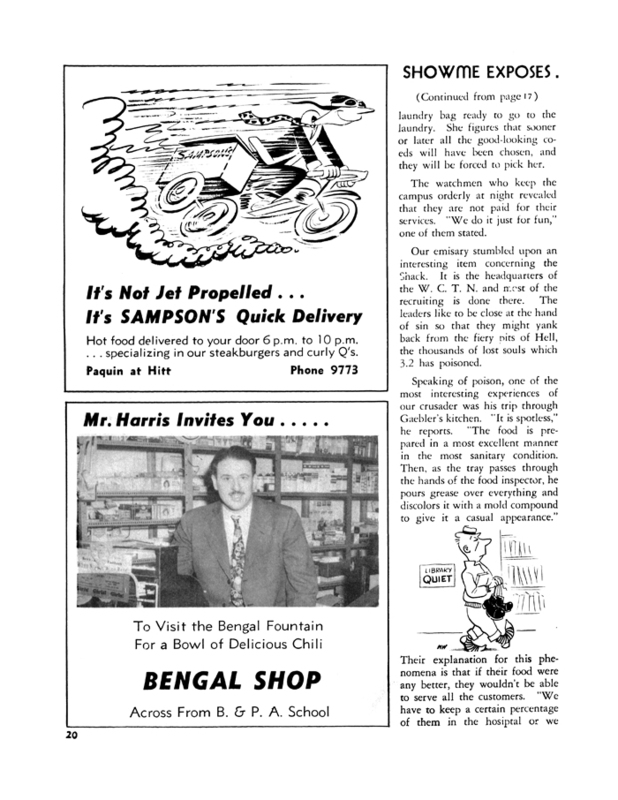 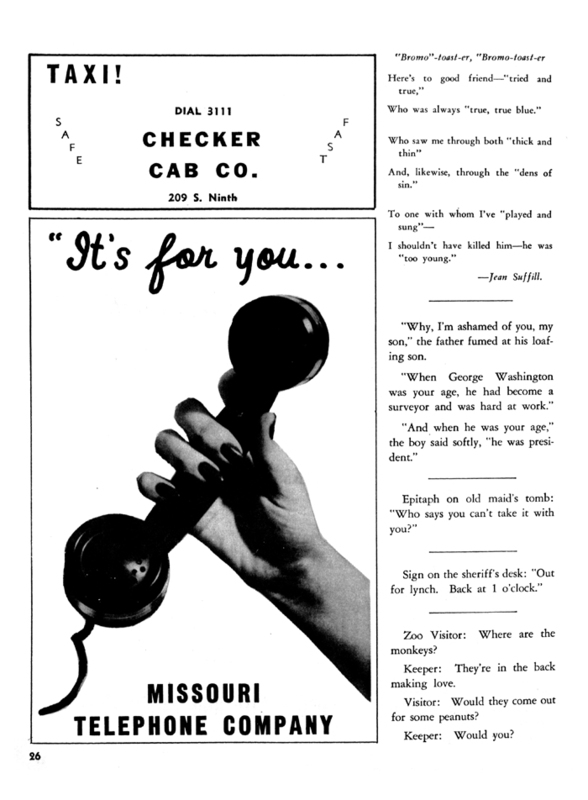 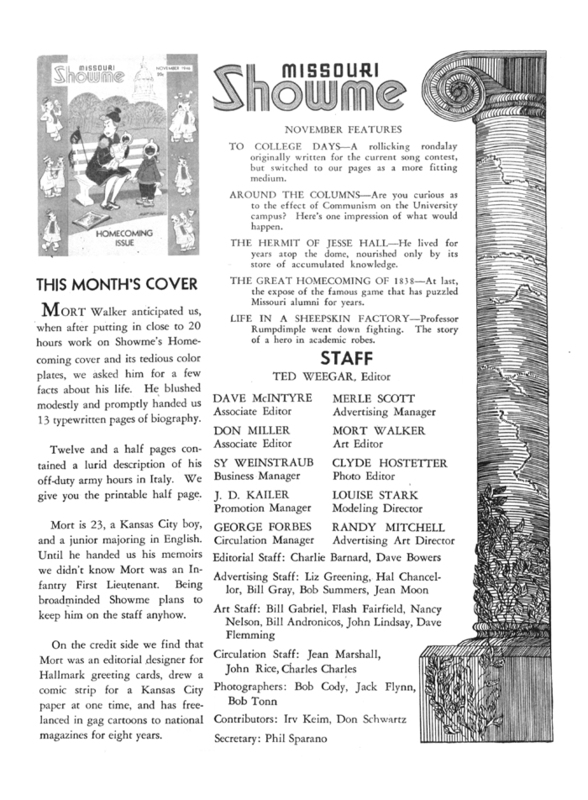 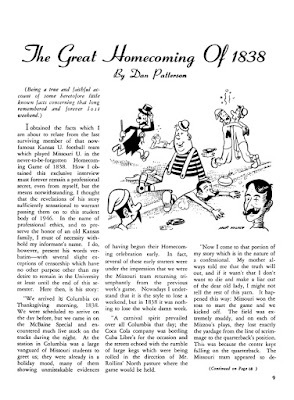 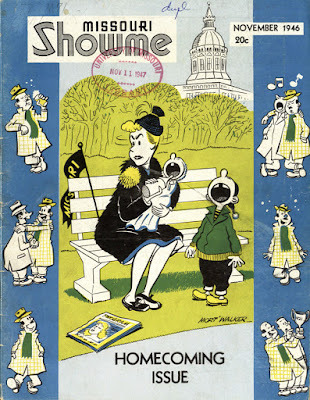 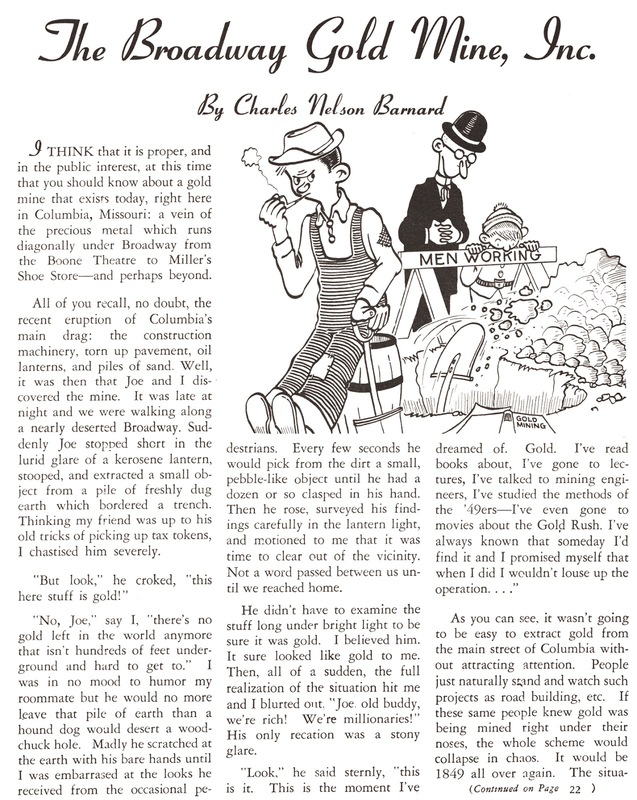 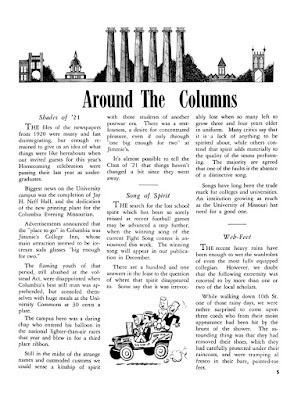 Mort Walker (from the "Beetle Bailey" fame), during his college years in the Missouri University, was colaborating in the University's magazine. Nowadays, there's a Beetle Bailey (as a college boy, before he goes to the Army [from where he never went out anymore]) statue inside the Missouri Univewrstiy's campus. 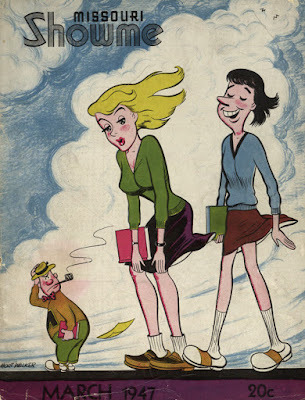 can you give us anymore work by Mort's buddy Flash Fairfield? 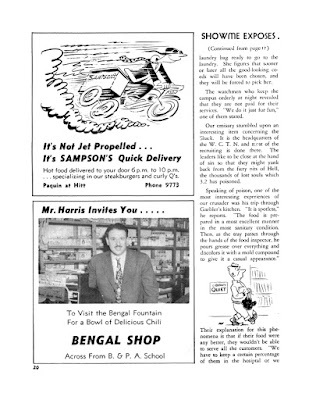 was the prime mover of Ron Goulart's Star Hawks comic strip. 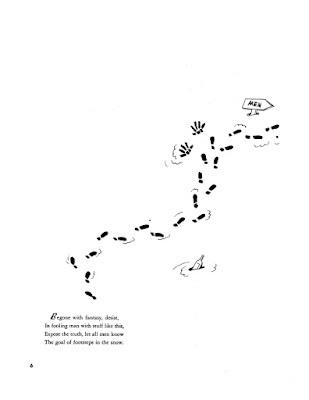 There is more by him, although he was not one of the biggest contributors. 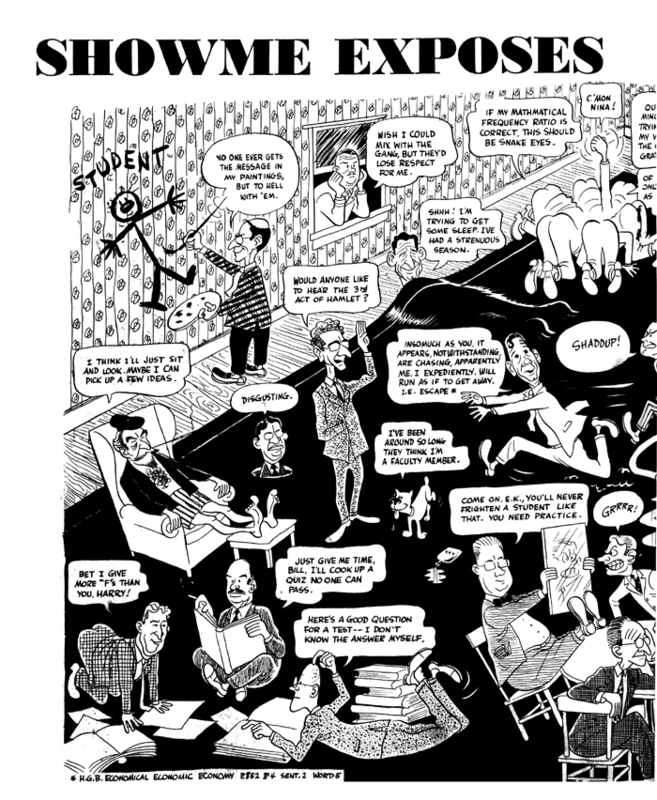 Voor de Trouw van morgen schrijf ik een artikel over de nieuwe Suske en Wiske, bezien vanuit een striphistorisch perspectief. Graag zou ik hierover met u van gedachten wisselen. Kan dat?